Established in 2015, with a generous gift from Mike Lazaridis and funding from the Government of Ontario, the Lazaridis Institute is working to increase Canadian prosperity by making national technology entrepreneurs globally competitive. One pillar of the Lazaridis Institute is research, with a focus on how tech firms can successfully move from startup to stay-up and then transition to scale up in the global market. To fulfil its research mandate, the Lazaridis Institute provides annual seed grants. These grants support early stage research projects, and are intended to help faculty and graduate students study a variety of management issues faced by tech firms at various stages of development. Bill Morrison and Bradley Ruffle (Economics): Do Pre-filled Online Forms Encourage More Accurate Reporting? Simon Taggar (OB/HRM) and Anne Domurath (Policy) with Nicole Coviello (Marketing): Developing Scalable Businesses: A Study of High-Technology Accelerator’s Outcomes. The topics and research of the successful recipients are all germane to today’s tech companies, and will help founders and teams as they move from startup through to stay-up, then scale up in global markets. This year’s recipients are all excited about the opportunities this funding provides. “Gender bias is big in the tech industry,” says Ivona Hideg, assistant professor of organizational behavior and human resource management. “Women entrepreneurs earn less – both because they ask for it, and initial research tells us also because venture capitalists don’t want to put too much pressure on them and their many roles.” Hideg and her colleagues are going to look at this phenomenon (called benevolent sexism), to see the role it plays in female-led startups. 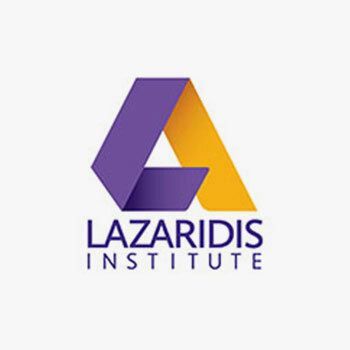 To learn more about the Lazaridis Institute and its research projects please visit lazaridisinstitute.ca.